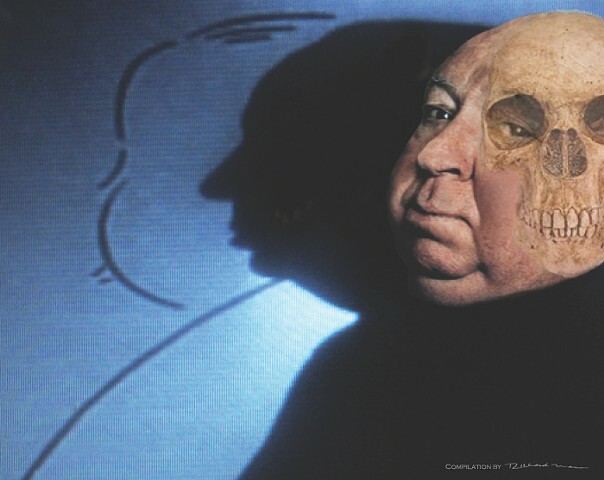 Sometimes artists' such as "Alfred Hitchcock" who produced, wrote, and directed the movie "Psycho" would include illusionary, ambiguous, and subliminal features barely recognizable and detected by the naked eye. They would trigger the audience's subconscious mind into believing an alternative scenario, in Psycho's case mainly "Fear." In both of the original private premier screenings of "Psycho", Hitchcock edited and spliced in a Skull And Crossbones after every nine frames of the shower/murder scene. That frightened the viewers into a maniacal panic. I was hanging out next-door to the Pickwick theatre in Westwood Ca. at a hamburger stand and witnessed the audience leaving the theatre after the movie Psycho ended. They had the look of terror written all over their faces. Without knowing what the movie was about, my thoughts were merely why were they so frightened? www.imdb.com/title/tt0054215/"
At the second premier private screening of "Psycho" a week later, I was working as an usher for the Fine Arts Theater in Beverly Hills. Back in those days a curtain was drawn in front the doors at the entrance to the screening area that kept out light from interrupting the audience's concentration when the door opens. As the film rolled on and the shower scene appeared, uninterested in merely another movie-murder scene, without watching the shocking scene, I remained unaffected and exposed to viewing behind the curtain. The movie ended, the theatre cleared out, and after work I was shown a short sample of the original film by my friend the projectionist. Union Projection Rules condone anyone to enter the projection booth, but we were good friends, so we scrutinized the footage of this avant-garde style of promoting horror and were surprised to discover the surreptitious deceptions of Hitchcock's terror mongering heart-jolting evildoings. A person suffered a severe heart attack at the first premier screening of the film, so an investigation was launched by the American Film Institute's Conservancy and discovered Sir Alfred's technique. For public safety reasons, Hitchcock was advised and ordered by the investigator to re-edit and remove the intimidating frames from the film. Hitchcock complied under one condition that no-one else shall ever know about his sophomorically achieved-mischievous devise. Many years went by with the reputation of the film and "Shower Scene" that followed that original horrifying experience. I remained silent since the discovery of the film's original trickery for forty-five years, until I specifically went to see the biopic-metaphoric-analogy namely titled, "Alfred Hitchcock and the Making of "Psycho." I interviewed the author of the book and he denied the calamitous chicanery of Hitchcock's conceptions. They had not mentioned Hitchcock's devious deceptions in the film nor did they even have a clue about it. Sworn into secrecy by way of the grapevine, there were only five people who ever knew of his edited inclusions . . . . . 1.Myself, 2.The projectionist, 3.The theater's owner Mr. Fields (Hitchcock's friend) 4.The film investigator and 5.The celluloid genius himself "Sir Alfred Hitchcock" . . . As mortals they have all passed on, whereas I am the only remaining being to tell the truth by un-bitting my lip finally by . . . Letting the cat out of the bag (sort of speak). In addition Hitchcock would surreptitiously include himself in ambient positions in some of the scenes to ambiguously promote awareness. Occasionally, Hitchcock would attend some of the theaters were his films were playing and as a voyeuristic-like under-cover-spectator he would sit in the audiences and see if they were responding to his films and whether or not they were affected or even paying attention.